Just days away, another year will open its doors once again, beckoning us with fresh new beginnings and opportunities waiting around the corner. Sometimes change means having the courage to let go of what no longer serves us. For the past several months, I’ve been working relentlessly behind the scenes to rebrand my business which is finally starting to come together. To make way for the next chapter, I’ll be closing down The Blog Spa early next year so don’t be surprised to see some transitional changes on our social media accounts in the meantime. And if you need a simple and stylish WordPress blogging theme, don’t wait to grab one from our shop. As a token of thanks for all your support, all themes are at 50% off ( Discount Code – NEWBEGINNINGS) until 31 Jan 2018. There’s still so much to do before the new website is launched but keep watching for updates. Here’s wishing all you dream chasers and strivers out there lots of growth and transformation in the coming new year. I’m so ready to invite bigger, better things into my life, are you? I’m proud to present yet another bespoke website project for a highly-talented illustrator from Paris who now lives in Singapore. Philippine Poplu has done work for the luxury industry in Paris including well-known interior designers and fashion brands such as Hermès and Saint Laurent. She needed a website to showcase her amazing collection of work and a way for future clients to contact her. Philippine had a good idea of what she wanted but was frustrated trying to translate her vision into a real website using Wix (which would have been impossible given its limitations). She came to me for help and I was able to translate her vision into reality while also offering other design options for consideration. The final outcome was a minimal-looking website with a strong image focus. Special touches were added throughout the website such as her hand-written navigation menu and hand-drawn arrows for her slideshows, giving the website a distinctive personal style. Also featured is a masonry-style grid to showcase her portfolio projects with a category filter to help the website visitor sort through her projects more easily. The layout of most portfolio grids tend to look structured and rigid. However, to compliment the exuberant personality of her work, I’ve designed the grid to look more interesting by giving it an irregular random layout with variable image sizes. Each time she adds more projects to the website, this page is going to look different for an extra element of fun! The grid on the Publication page works in a similar manner except that it opens a lightbox gallery of images with titles and hand-drawn elements added. As Philippine wanted the ability to make website updates on her own, the Admin Area of the website (also known as the backend) was specially customized with Custom Post Types and Advanced Custom Fields. To wrap things up, User Manuals were created which I ran through in a Training Session with her after the website launch. Here are some behind-the-scene images of the project, hope you enjoy them and write me a comment if you like! Special touches such as hand-written navigation links and hand-drawn arrows were added, giving the website a distinctive personal style. As of today, I’m currently not accepting any new website projects until further notice. The Blog Spa is WAY OVERDUE for a fresh brand revamp and not only that, I’ll be reviewing my entire business to see how things can be improved for myself and my clients. Change can feel scary but it’s crucial if you want to strive for growth! I’ll be sure to keep you posted. As always, thank you for your support. Certificate of Completion. Thanks Troy Dean and team! At the beginning of the year, I wrote in a previous post that I was going to join a new business training course for WordPress business consultants called WP Elevation. I’m thrilled to report that just a few days ago, I’ve successfully completed it and boy, do I feel so different about my business now! WP Elevation is a 6-week business training course founded by Troy Dean in Australia that is specially targeted at WordPress designers and developers who may work alone but want to level up their business with better communication, workflow and business practices. Ever since I’ve taken Marie Forleo’s Bschool (which is another excellent course for those of you thinking about starting an online business) back in 2013, I’ve been looking for the right course or coach to help me reach new heights but with not much success. So when I learnt about WPE, I knew IMMEDIATELY I had to sign up for it as I love how specific it was to my industry compared to many courses that felt somewhat generic. By now, I’ve taken countless workshops and courses and this is undoubtedly the best investment I’ve made for my business so far. One thing I love about the course is how it’s broken down into small, bite-sized chunks with tasks that feel easy to implement and do-able. Everything is laid out systematically in a logical manner that makes so much sense to do. Just implementing a few WPE tasks has already given me so many valuable benefits and results such as project proposals that get approved quickly without questions, better workflow processes such as client questionnaires, checklists and documents that will make managing projects and clients easier without scope creep and last but not least, so many new ideas for new revenue streams that I would never have thought of, including those that are recurring in nature. To add even more goodness, I connected instantly with the WPE Facebook community which had been so supportive and engaged, and ready to help with any questions ranging from technical to client management to setting up systems. After working alone for a few years, I have never felt so understood and supported before. Knowing I now have a tribe of people who I can turn to for any business issue anytime is a HUGE stress reliever. Over the course of 6 weeks, I’ve also experienced mindset shifts in how I view myself as a premium WordPress business consultant instead of just a regular designer and developer. I value my skills a lot more and feel so much more comfortable about raising my fees in the near future. In a nutshell, joining the WPE course has been invaluable from an inside-out perspective and given me new motivation and confidence to elevate my business. I’m really looking forward to implementing more WPE processes this year. In the meantime, I’ve moved on to other prior tasks that need to get done first such as figuring out my niche market and working on new photos for my upcoming new website. There’s so much to do while juggling client work at the same time. I’ll need to remind myself to take things one step at a time. I’ll be sure to provide more updates so watch this space. UPDATE: WPE is about to open its doors again for another new intake! Doors are open for 7 days only from 30 May 30 till 6 June 2017. 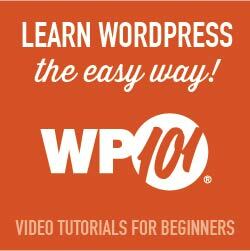 Here’s a free training video to help you level up your WordPress business, enjoy the valuable lessons! On a big inspiration hunt seeking cool places and props for photos to be used on my upcoming new website and rebrand aka. fun reasons not to be in the office and guiltless shopping with great purpose ha! Here’s a cute cafe I stumbled upon while seeking refuge in the rain called LookSee LookSee. Designed to be a reading room and tea salon for the creative-at-hearts, this is the perfect place to retreat to when you need quiet moments of solitude to gather inspiration. A limited menu offering Japanese specialty tea blends paired with chocolate. Kukicha Green Tea + Dark Chocolate = Nutty Flavors + Sweet Moment of Bliss! These words speak to my heart. Hope you’ve enjoyed the photos, would you like to see more? I would love you to join me on my inspiration hunt – just follow me now on Instagram and let’s explore together! For me, each new year brings with it fresh hope and bigger dreams. Being an introvert and highly contemplative person, I’ve done my fair share of reflection and decided that the theme for The Blog Spa this year is “Growth and Transformation”. Having taken some courses from MindValley to work on my growth mindset, some of the things I’ve learnt from Marissa Peer is to “make the familiar unfamiliar and the unfamiliar familiar” and to “do what you hate most”. The latter is a lesson I know I really need as somebody who procrastinates a lot in the morning by staying in bed to read (Who really enjoys writing marketing posts and looking for sales leads, right). But in the light of changing my actions so that my life can too change for the better, I’ve started 2017 doing tasks I’ve procrastinated for months (years) and a promise to myself to majorly up-level my business this year. So….. *drumroll please* after being self-employed for 5 years, I’ve officially registered as a sole-proprietor, yay! I think this was something I avoided doing for the longest time as I know it would involve a lot of other admin work and expenses (icky) but it’s time to bite the bullet and be more serious about my business. I’ve also decided that this year, I’m going to be rebranding The Blog Spa as most of my current clients are actually not just bloggers but creative business-owners of various industries. I need a new brand that can reflect this direction more accurately. While I’ll always enjoy reading blogs, I’ve learnt that most bloggers I’ve had contact with are only blogging as a hobby and not willing or able to invest too much in their personal brand. In contrast, business owners tend to be more driven and motivated. I’ve found that I could relate more to them personally and well-suited to serve them with more impact. Wireframes for my New Website. This will be my 4th business website since 2011. Having said that, while my eclectic skills allow me to serve a variety of different-sized businesses, I’m aware that in order for me to survive and thrive well as a solo show, it’s important that I narrow down my niche and get clear on who I can serve best. While that is always an evolving process, I’m in the midst of refining my niche with the help of the Positioning Manual and an upcoming strategy session with a marketing consultant that I look forward to. One area of my business which I’ve not enjoyed doing was bookkeeping which was getting messy as I have clients in both Singapore and USA, and need something that can track transactions in different currencies easily. After researching and trying out about 10 accounting software, my final pick was Zoho Books which in my humble opinion is a piece of highly under-rated but extremely well-designed accounting software with advanced invoicing features (Goodbye, Excel sheets and faded receipts!). Zoho is a software company that believes in investing in product development more than marketing and advertising so you don’t read much about them on the internet as compared to Quickbooks, Xero or Wave. My message to all of you out there reading this is not to always trust all the reviews you read about on the internet as many of them are written with affiliate links, and to always do your own research diligently before investing in anything. Know that what works for others may not necessarily work for you, so get clear on your unique needs and find something that can fulfill those the best. I’ve also hired an independent accountant to help me set up my accounting software and guess what, it feels really really good to outsource a task, especially something I know I don’t have much interest or knowledge in. The past years, I’ve been a bootstrapper and independent soul guilty of the “I can do everything myself” DIY syndrome and having gone through fits of entrepreneurial burnout, I’m going to learn to let go of control a little this year and to allow others to support me. ( Heave sigh of relief ) I know budget is tight but it helps to take steps towards the right direction so I can go focus on other things more urgent and afterall, an expert will know more and do the job better than I can. Other than Zoho Books, I’m looking into using more software and apps to help me run my business easier and more professionally, such as a project management software called Asana and a scheduling software called Calendly which are both thankfully free to use. I also plan to invest in a business-training course for WordPress consultants called WP Elevation in Feb this year. I’m really excited about joining this community as I badly need more camaraderie and peer support. People see the “glamorous” side of my business but they don’t realize how difficult it sometimes is to manage and make business decisions everyday on your own. Last but not least, I really do need to brush up on my marketing activities and sales skills which are sorely lacking. Honestly, the thought of putting myself out there chills me to the bone but I know I need to get over this eventually if I want to succeed in my business. I’m always on the lookout for a suitable marketing or business coach to help me with this so if you have a recommendation and know someone who is kickass, pls let me know! After everything mentioned above has been done, I expect to raise my fees by a fair bit to justify that I’m getting better at what I do and also to offset my rising operating costs. If you’re reading this and you know you need a new website, you might want to grab my services before that happens. Also on the cards are new pre-set packages for my services. I’ve yet to decide what those are going to be but I’m working on those. That’s all for now, folks. I hope the blog post gives an idea of what I’ve been up to and what’s going to come in the near future. Thanks for reading and all the best to all you business owners out there! Always keep moving forward, we can do this. Here’s to growth and prosperity in 2017!